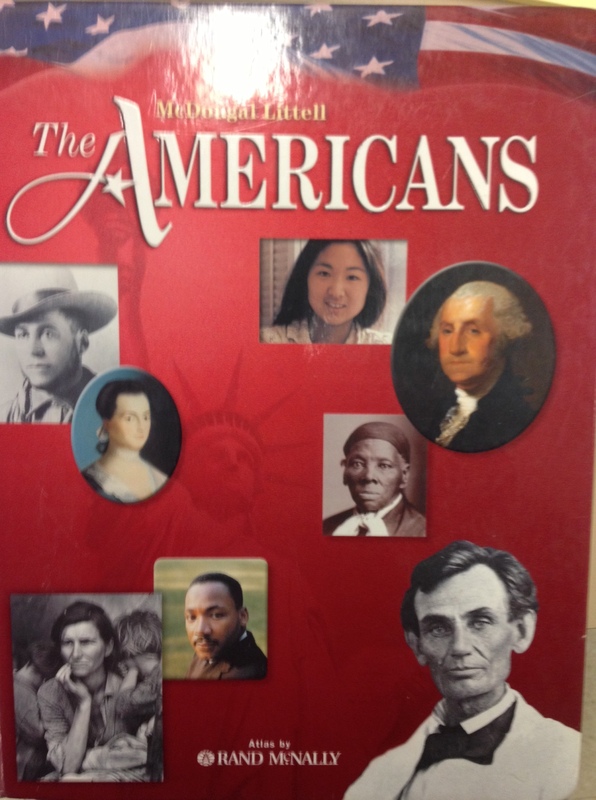 It is that time of year when students are required to turn in their textbooks to their teachers, so drag it out from under the bed, pull it from the trunk of the car where it was useful as weight for traction in the winter, or un-prop your doors and bring it to your history teacher. In order for students to receive their final exam, they must return the book that they were assigned at the beginning of the course to the teacher. In the event that the book has gone missing, students are expected to provide a check or cash to cover the replacement cost of the text. 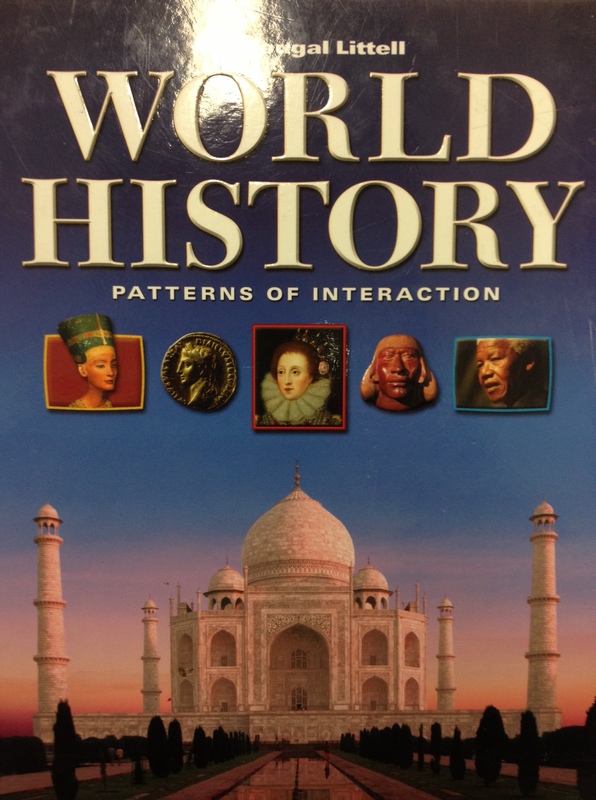 For both the US I and II books (The Americans) and for the WH II book (World History: Patterns of Interaction) the replacement cost is $65. Checks should be made out to Burlington High School. To help with the book identification, pictures of each textbook for the core courses are below. 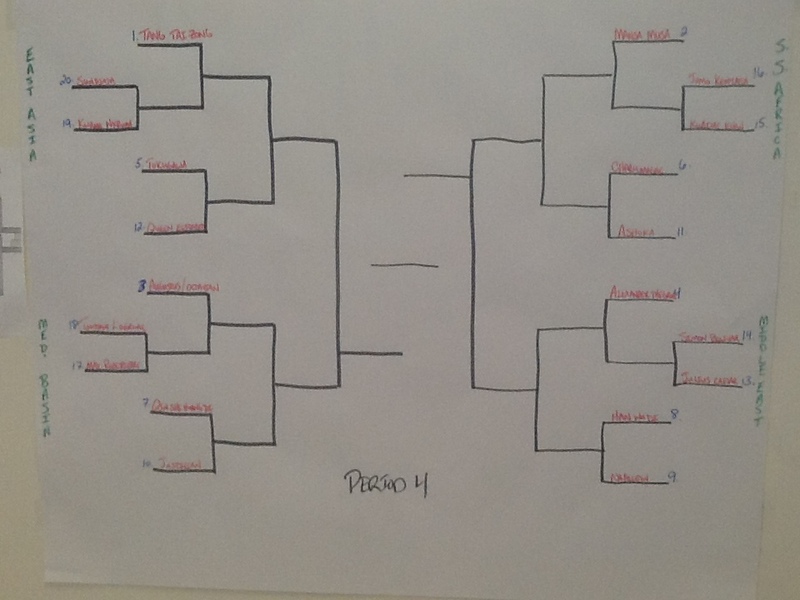 Each year the AP World History students enter into a competition known only as May Madness, where they do a blind draw to become different leaders from World History and battle their way to become the greatest leader of all time. Don’t see your favorite here this year? Check back next year! The brackets will be posted here and updated, and if you want to play the bracket to see how much you think you know about different leaders, you can play Round One by clicking the links for each period. 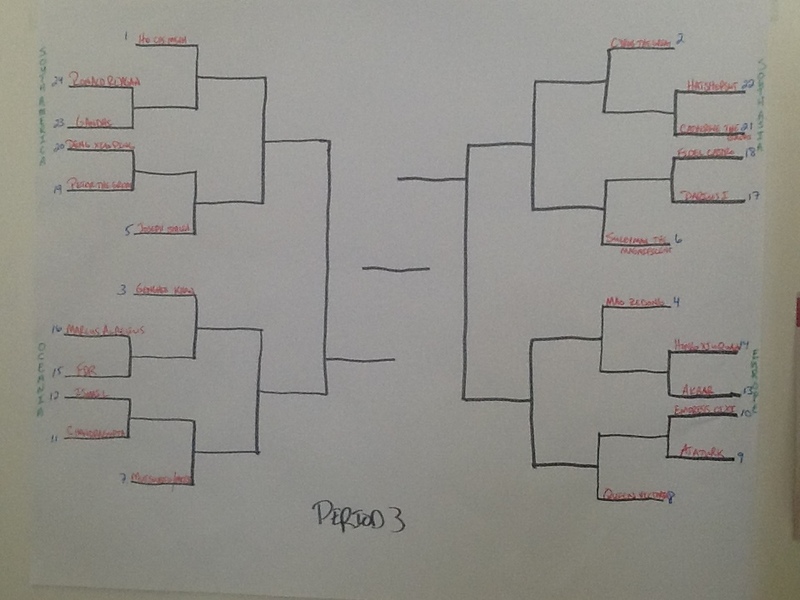 As they get winnowed down, check back for updated brackets! Let the Madness begin! What is this course all about? Watch the video and see Mrs. Dr. Gould if you have questions. What is Intro to Law? If you want to know more about what Intro to Law is all about, watch the video below and talk to Mr. Coughlin if you have more questions! If you are interested in the International Studies elective, watch the video and contact Mr. Parkin if you have any questions! The Sociology elective will be running again next year! Want to know what it’s all about? Check out the video, or contact Ms. Brumby for more details! The senior elective US-China Relations will run again next year. Want to know what it is about? Watch the video, and contact Mr. Whitten if you have further questions!